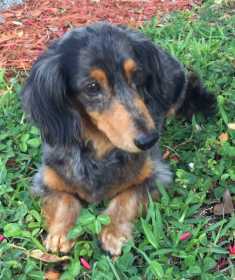 Miniature long-haired dachshund. Primarily black with red markings. 13 pounds. 10 years old. Last seen in Jupiter, Florida.